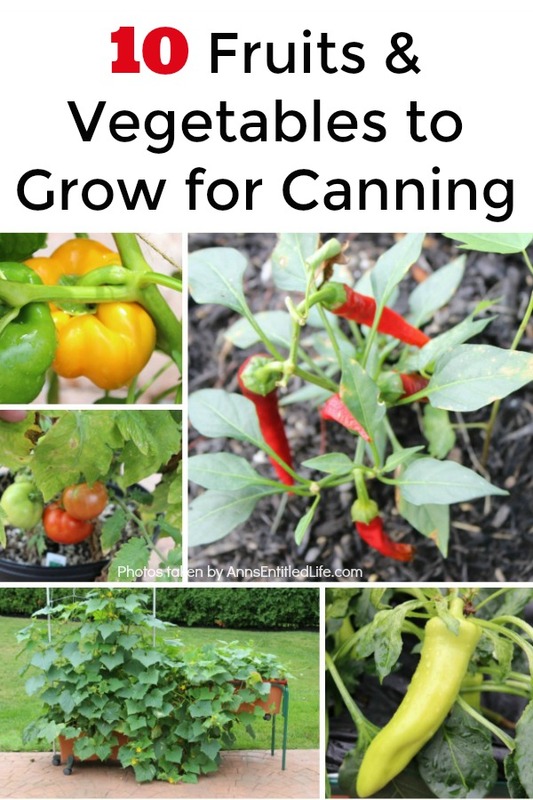 When planning your garden you may be looking for the best foods to grow for canning. Canning fruits and vegetables is a great way to save money and provide your family with wholesome foods year round. 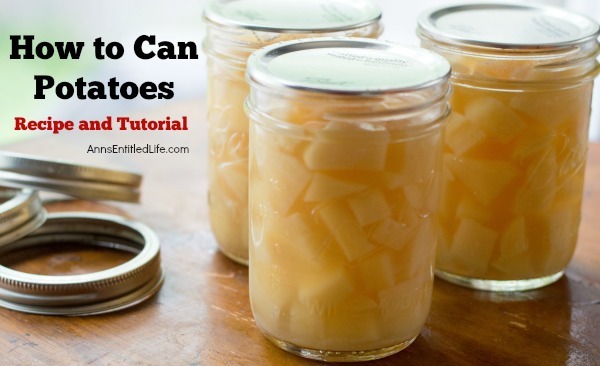 When choosing what you will grow in your canning garden you need to look for the items your family goes through the most. 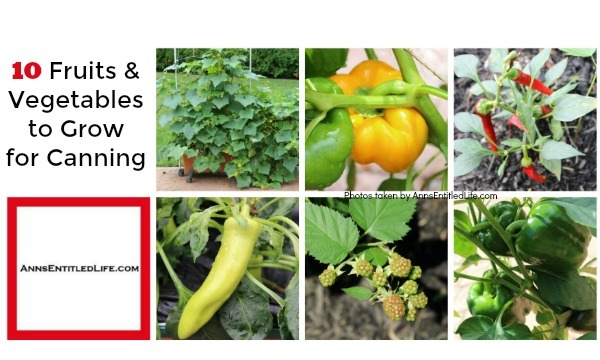 If you have other vegetables and fruits not listed below and you would like a canning recipe, you might enjoy my 101 Canning Recipes for Fruits and Vegetables from Your Garden While 101 canning recipes can be overwhelming, the truth is that list has something for everyone on it! Blackberries are great to grow (I highly recommend thornless blackberry bushes!) and make wonderful jam and pie filling options for canning. 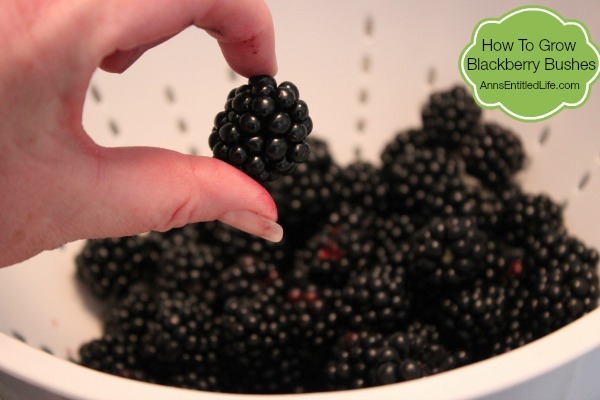 Click here to learn how to grow blackberries! Blueberries are great for growing as ornamental shrubs that just so happen to give you a great jam and pie filling option for canning. IF you are looking to replace common shrubs in your landscaping with something edible blueberries are a great option. 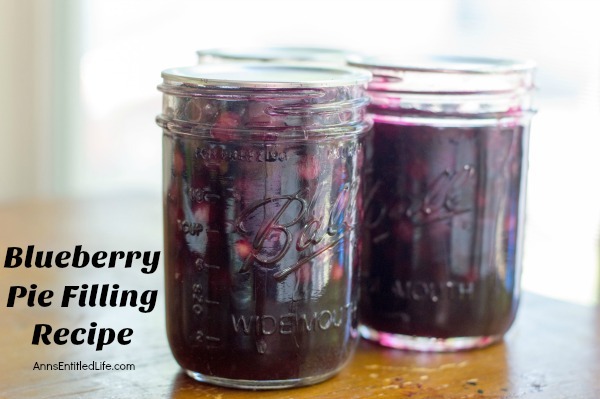 If you would like to learn how to make blueberry pie filling, simply click here. Blueberries are acid loving plants. Blueberries require soil that drains well, in full sun most of the day. Fertilize and feed! A cherry is a stone fruit. Freshly picked cherries are truly delicious (my grandparents had a cherry tree in their backyard), and we have apple and pear trees on Hubby’s hunting land (organic, and I gotta say they can contain extra, er “protein” when harvesting – ick) and while we normally think to eat cherries fresh (YUM! 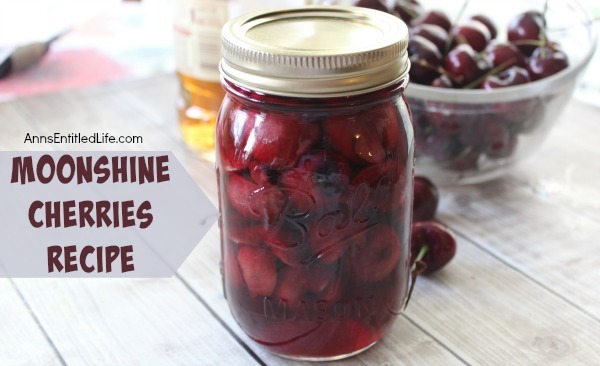 ), jams, jellies, and moonshine cherries are all well known canned cherry recipes. To learn more on how to take care of fruit trees, click here. Strawberries make great jam or jelly. Strawberries can be grown in pots or used as a groundcover in well-mulched garden beds coming back nnd spreading year after year. 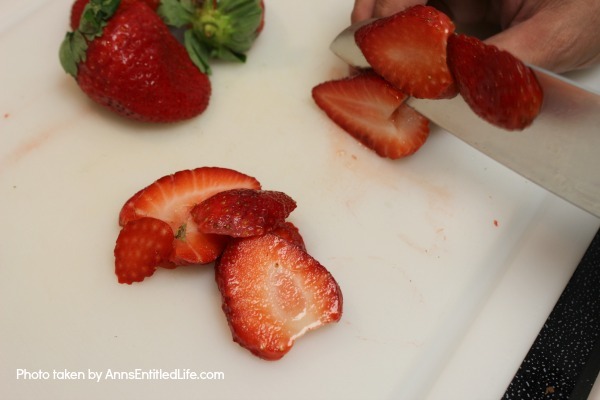 Click here to learn how to grow your very own strawberry patch! Carrots are easy to grow and do well in raised beds and deep pots (you need a minimum of 12″ of depth). Check your package for growing time (if you are sowing seeds) – usually 3 months. If you purchased seedlings, the time lessens. Loose soil (get it at least 12″ deep) and sow seeds at least 2″ apart. Fertilize. 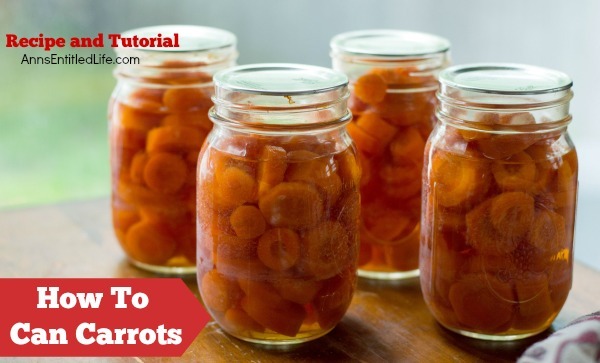 Canning carrots is a great way to preserve them to flavor soups and stews all year round. Click here to learn how to can carrots. I am the cucumber growing queen. It is a good thing we like them! Cucumbers are essential to any canning garden. They are simple to grow using a standard soil mixture, regular watering and fertilizing. I grow mine in my earth boxes and they produce like mad! Plant cloves in a sunny location with well-drained soil in the fall. Plant cloves root side down approximately 6″ apart in rows approximately 2′ apart. If you are in a colder climate, your garlic will require mulch for the winter. Up north garlic grows quite well. We have a local “garlic guy” that sells 20+ varieties. Garlic is considered a very easy to grow crop, so you may want to give it a try! 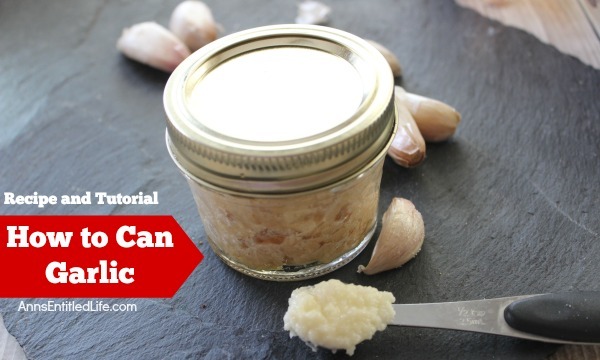 If you would like a Canned Garlic Recipe simply click here. I love green beans! 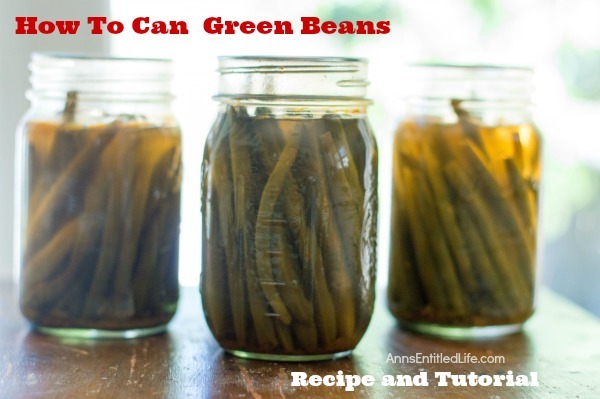 Green beans are a great vegetable to serve with family meals and really easy for beginning canners. Adding fresh herbs, peppers, or onions to your home canned green beans is a great way to make mealtime easy. If you take the time to grow and can your own beans for soups and chili you can do the same to save time later. Peppers are essential to making homemade salsa and are a great flavor addition to home canned green beans, peas, corn, and carrots. We grow a large variety of pepper plants each year. Depending on your needs, consider some hot peppers, banana peppers, as well as yellow, red, and green peppers (for sale variety! ), Pay close attention to the Scoville scale on the peppers you choose! 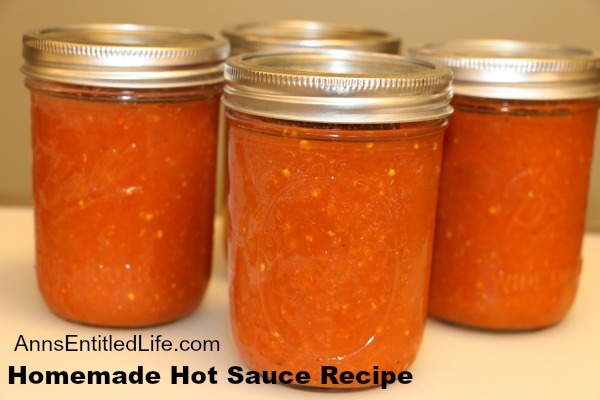 Hubby’s Homemade Hot Sauce Recipe is a good one for those delicious garden peppers! Potatoes are the number one vegetable crop in the world. While they originated in South America, potatoes are now available throughout the year in our grocery stores as they are harvested somewhere every month of the year. 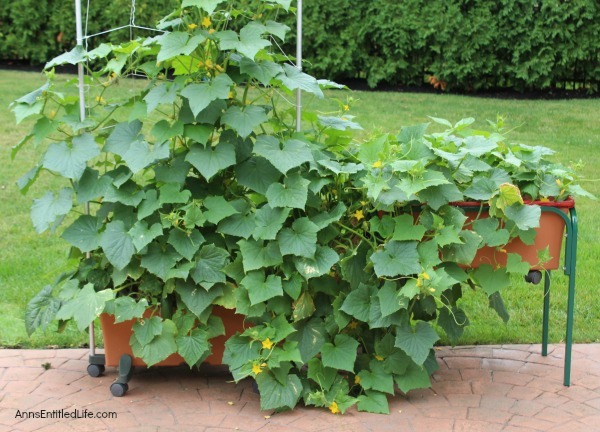 If you would like to learn how to plant and harvest potaoes, simply click here. Do you have a favorite fruit or vegetable that you grow specifically to can later? P.S. I prefer to use green cayenne peppers before they turn red. The flesh holds up better using mostly green peppers. My mother always added a few red peppers for color. I’m a wimp when it comes to pepper-heat, Sues! Thank you for the tips. I’ll show Hubby.